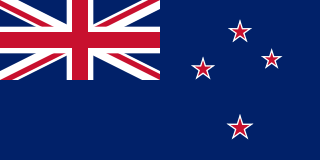 English: Flag of New Zealand. Specification: http://www.mch.govt.nz/nzflag/description.html , quoting New Zealand Gazette, 27 June 1902. Български: Знаме на Нова Зеландия. Español: Bandera de Nueva Zelanda. Français : Drapeau de la Nouvelle-Zelande. Bahasa Indonesia: Bendera Selandia Baru. Italiano: Bandiera della Nuova Zelanda. Bahasa Melayu: Bendera New Zealand. Norsk bokmål: New Zealands flagg. Português: Bandeira da Nova Zelândia. Shqip: Flamuri i Zelandës së Re. Српски / srpski: Застава Новог Зеланда. 1 Some government publications are not subject to copyright, including bills, acts, regulations, court judgments, royal commission and select committee reports, etc. See references  or  for the full list. 2015년 12월 7일 (월) 05:45 1,200 × 600 (2 KB) GoldenRainbow Not yet. They had to vote in a referendum first before they had a new design or keep the old one. 2015년 12월 6일 (일) 22:52 1,990 × 993 (12 KB) Salvabl This is the new official flag of New Zealand. 2015년 11월 9일 (월) 02:58 1,990 × 993 (12 KB) Salvaeditor This is the official new flag. 2012년 6월 5일 (화) 11:26 1,200 × 600 (2 KB) Avenue The last version was an improvement, but still not entirely accurate (star borders 5% too large, instead of ~35% too small). This version improves them further (to within 1%). Otherwise it is identical to the 04:10, 3 November 2009 version.